Maya Brodsky (b. 1984, Minsk, Belarus) was raised in Brookline, Massachusetts. She received a BFA in painting and a BA in Philosophy from the University of Massachusetts Amherst in 2008. In 2010 she graduated with an MFA from the New York Academy of Art where she was awarded a Post-Graduate Fellowship for 2010-11. She was the recipient of an Acadia Foundation Artist’s Residency in 2013, and an Elizabeth Greenshields Foundation Grant in 2014. She has exhibited in Norway, Switzerland, and New York City. She currently lives and works in Cambridge, Massachusetts. 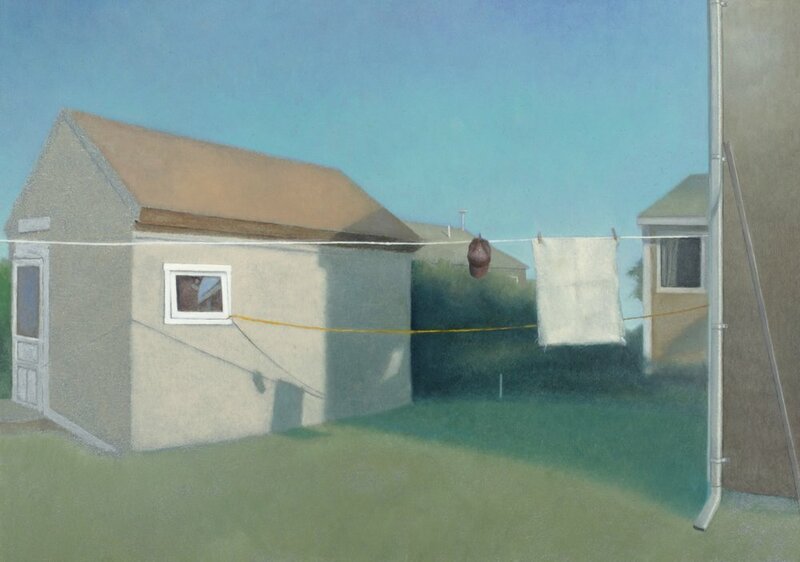 Born in Spokane, WA (1986), Tamalin Baumgarten paints quiet landscape scenes with a tonal, melancholic realism. She received her BFA from Cornish College of the Arts in 2010 and her MFA from New York Academy of Art in 2015. She has been the recipient of several awards, including two Elizabeth Greenshields Foundation Grant Awards, the Portrait Scholarship Award from the New York Academy of Art, the Dahesh Museum of Art Award, and the Vermont Studio Center grant award. She is the co-founder and Director of the Cuttyhunk Island Artists’ Residency, located on Massachusetts’ Cuttyhunk Island, the inspiration for many of her paintings. Claudia Olds Goldie is a 2017 Mass Cultural Council finalist. She has received a Kiln God Residency from Watershed Center for Ceramic Arts, a fellowship from the Vermont Studio Center, and a nomination for a Boston Foundation Brother Thomas fellowship. 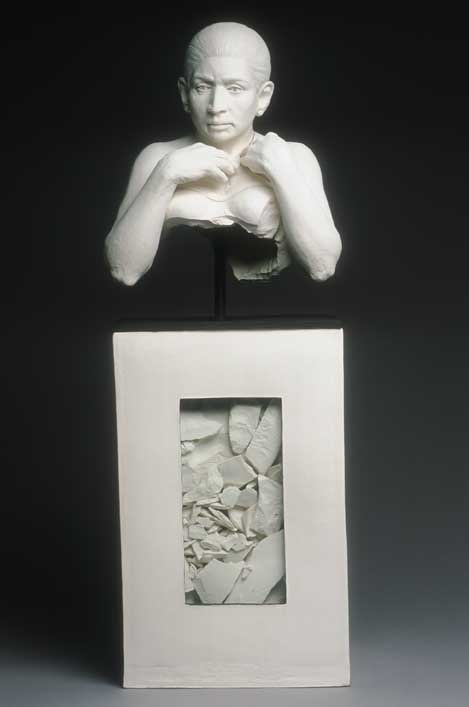 She has shown in the NCECA Biennial in Houston, SOFA Chicago, and numerous State of Clay National Juried exhibitions, and “Contemporary Figurative Sculpture” at Santa Fe Clay Gallery. She is a current member of Boston Sculptors Gallery. She received her BFA from Boston University College of Visual Arts. She is an instructor at Harvard University’s Ceramic Program, and teaches sculpture and drawing at Dexter Southfield School in Brookline, Massachusetts. Her work has been published in 500 Figures in Clay, 500 Figures in Clay Vol. 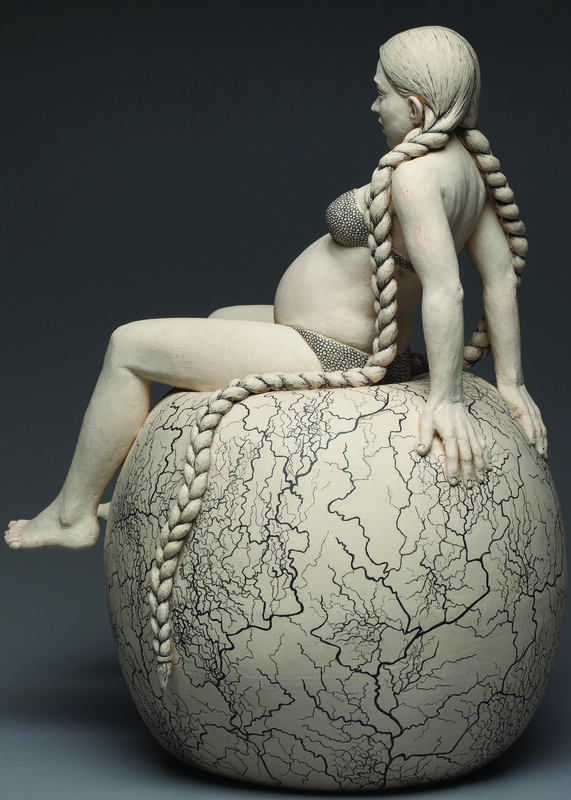 2 by Nan Smith, Sculpting Clay, and Low Fire: Other Ways to Work in Clay, both by Leon Nigrosh, and Ceramics Monthly, Clay Times, and American Craft magazines.